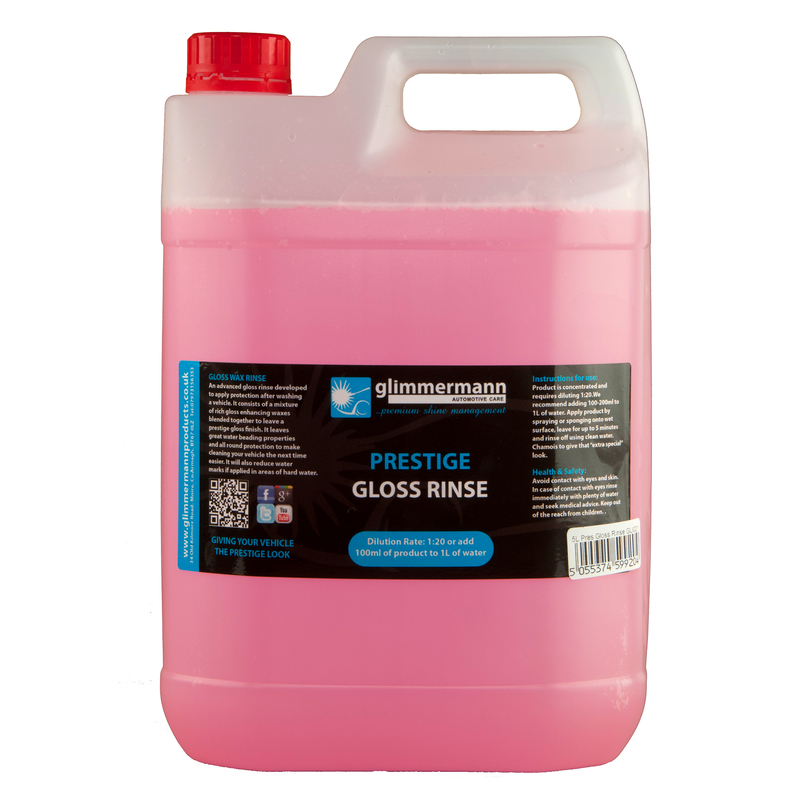 An advanced gloss rinse developed to apply protection after washing a vehicle. It consists of a mixture of rich gloss enhancing waxes blended together to leave a prestige gloss finish. It leaves great water beading properties and all round protection to make cleaning your vehicle the next time easier. It will also reduce water marks if applied in areas of hard water. Product is concentrated and requires diluting 1:20.We recommend adding 100-200ml to 1L of water. Apply product by spraying or sponging onto wet surface, leave for up to 5 minutes and rinse off using clean water. Chamois to give that â€œextra specialâ€ look.